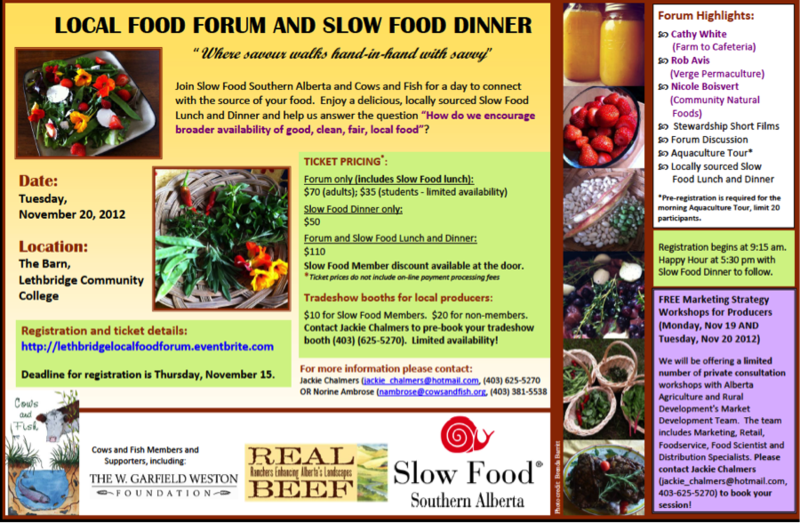 dee Hobsbawn-Smith; the curious cook and past president of Slow Food Calgary, is coming to Edmonton! The Enjoy Centre and The Prairie Bistro in association with Slow Food Edmonton present…..
RSVP to kevin@kevinkossowan.com to find out where to meet: capping at 25, first come, first served. Join us for some rustic outdoor fun!